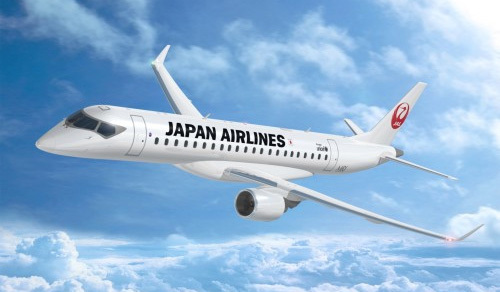 Embraer S.A. has signed a firm order with Japan Airlines (JAL) for a total of 15 E-Jets comprising the E170 and the E190 jets models, as well as for an additional twelve E-Jets family options. The value of the firm order is estimated at USD 677 million, based on 2014 list prices. The order will be included in Embraer’s 2014 third-quarter backlog. The E-Jets are powered by GE Aviation’s CF34 engines. All aircraft will be operated by Japan Airlines’ wholly owned subsidiary, J-Air, which has headquarters at Osaka’s Itami Airport. This order is added to the existing 15 E170s that the airline currently flies. New deliveries of E-Jets are scheduled from 2015. 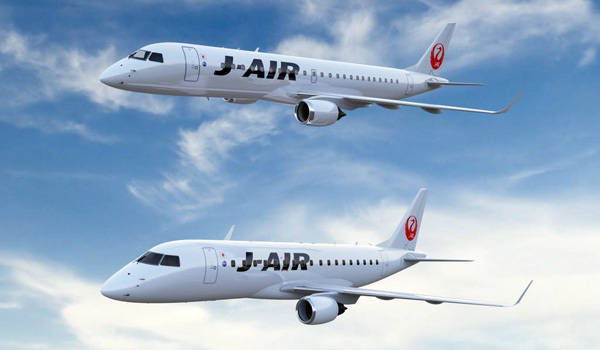 J-Air already has 15 Embraer 170 and nine Bombardier CRJ200. The new E-Jets will replace the Bombardier jets starting 2015. Japan Airlines will also retire its Bombardier Dash-8 Q100, Q300 and Q400 plus the Saab 340. All these turboprops are operated by its Japan Air Commuter subsidiary. At the same moment Japan Airlines announced it had signed a LOI (letter of intent) with Mitsubishi for 32 MRJ-70 and the larger MRJ-90. These jets will start to arrive from 2021 and will replace all other current regional jets. Equipped with newly-developed P&W PurePower Geared Turbofan engines, the MRJ will achieve significantly lower operating costs than current regional jets. JAL will operate the MRJ as the core aircraft on its regional routes.